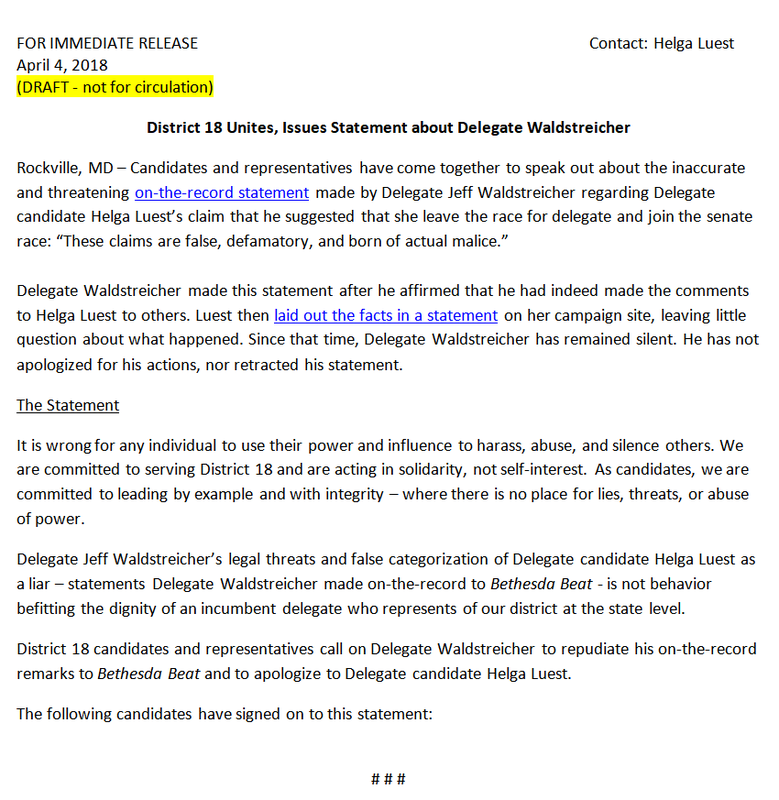 Last week, David Lublin broke the news that former District 18 candidate Dana Beyer is planning to run for Senate against Delegate Jeff Waldstreicher. Both Beyer and Waldstreicher have run three times in the district. Let’s see how their past performances stack up. Beyer and Waldstreicher first ran for office in 2006 when both ran for the House. Waldstreicher, aided greatly by the Apple Ballot, won a close contest with attorney Dan Farrington to claim the open seat vacated by Rich Madaleno. Beyer ran a credible campaign but finished fifth of eight candidates. Waldstreicher would never be seriously threatened in his two reelection contests while Beyer lost another House race in 2010 and a Senate challenge to Madaleno in 2014. One fact apparent in the electoral data is that Waldstreicher’s performance has improved over the years while Beyer has consistently received between 5,000 and 5,500 votes. 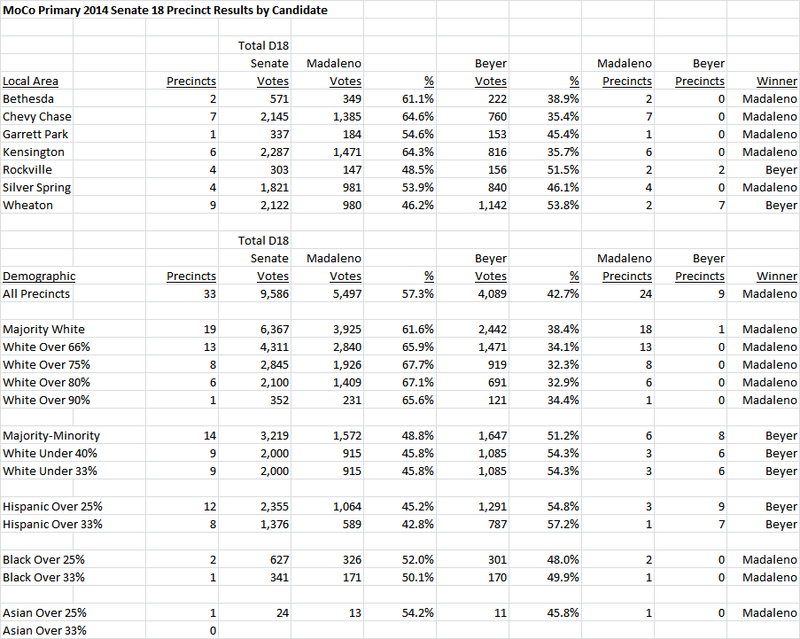 In 2006, both Waldstreicher and Beyer were primarily self-financed candidates. Since then, Waldstreicher has successfully raised outside money while Beyer has continued to mostly self-fund. 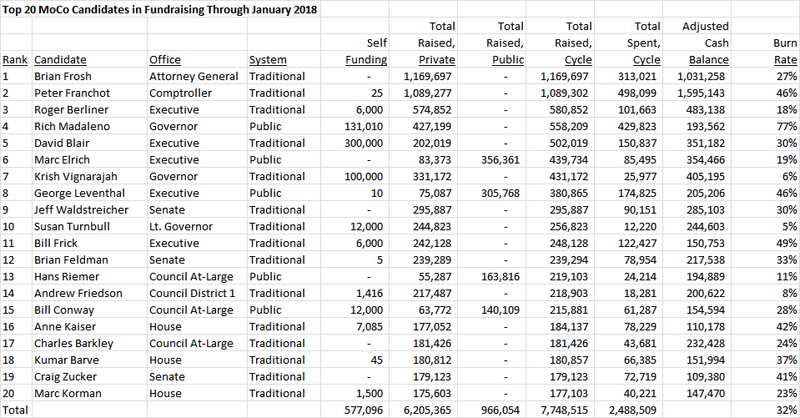 Beyer’s loans to her 2014 campaign against Madaleno constituted one of the largest self-financing performances in the history of MoCo General Assembly elections. Drawing on her own money, she is easily capable of matching Waldstreicher dollar for dollar. Waldstreicher has been endorsed by virtually every major progressive group over the course of his career as well as by the Washington Post in 2014 and the Gazette in 2010 and 2014. Beyer was endorsed by the Post, the Gazette and Equality Maryland in 2010 and by MCGEO in 2010 and 2014. In 2014, Beyer ran against incumbent Rich Madaleno for Senate. It was a steep uphill climb. Madaleno is beloved by nearly all District 18 activists and is arguably the most prominent Senator in the district’s history other than the immortal Chris Van Hollen. Despite all of that, Beyer lost by a 58-42% margin, coming closer to winning than many people believed she would. She outraised the incumbent by more than 2-1 (if you count her epic self-financing), won the precincts in Rockville and Wheaton and was competitive in Silver Spring and Garrett Park. Her loss was due to Madaleno running up margins of close to 30 points along Connecticut Avenue. Still, this was a loss and not a disaster. So what does all of this mean? 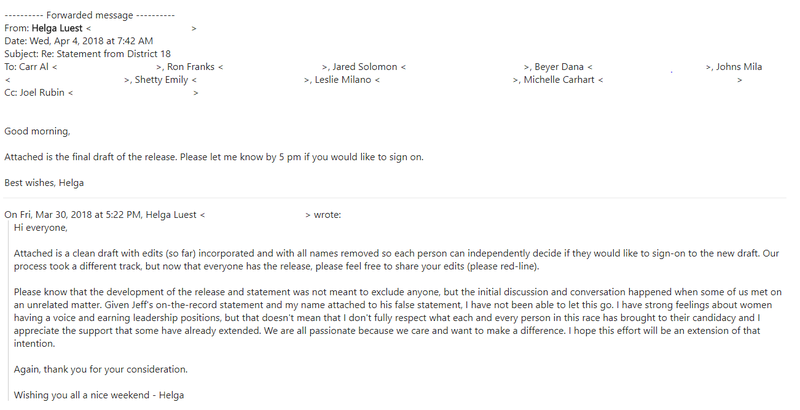 Your author agrees with David Lublin and sees Jeff Waldstreicher as the favorite in this race. He owns most of the advantages that come with incumbency: fundraising capability in Annapolis (especially with those who have business before his powerful House Economic Matters committee), relationships in the district built through constituent service and relationships with many influential progressive groups who have endorsed him in the past. He is also a hardworking, adept campaigner who has survived three straight competitive elections. But Dana Beyer will present a real challenge. She could wind up spending more than Waldstreicher due to her self-funding capacity. She has shown some strength in the less wealthy parts of District 18. And she is more than willing to get tough to win, burying Madaleno in waves of negative mail in 2014. She is definitely going to bring it against Waldstreicher. This is gonna be one hell of a race!